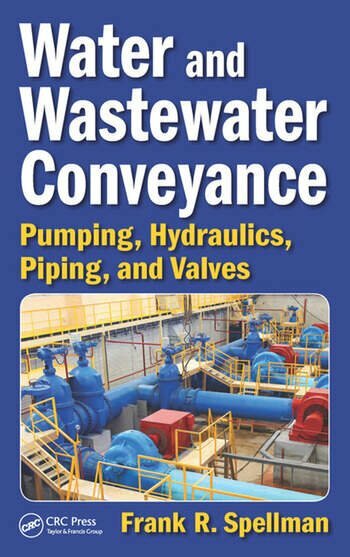 Water and Wastewater Conveyance: Pumping, Hydraulics, Piping, and Valves provides fundamental, basic information on the conveyance of water and wastewater. 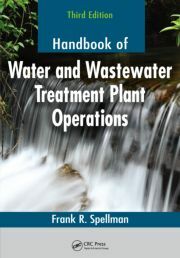 Written in straight-forward and easy-to-understand language for professionals and non-professionals alike, it provides the techniques to assist water and wastewater operators to better understand basic pump operations and applications, maintenance regimens, and troubleshooting procedures. Addressing a multitude of water quality issues, it provides an introduction to water hydraulics, piping systems, tubes, hoses, and ancillaries as well as valves, and the maintenance requirements of each. It also discusses common operational problems and their appropriate corrective actions. 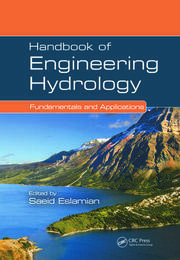 Definitions of key terms and self-examination questions are provided at the end of each chapter. Water Hydraulics: What Is It? Frank R. Spellman, PhD, is a retired assistant professor of environmental health at Old Dominion University, Norfolk, Virginia. He is the author of more than 90 books covering topics in environmental science and occupational health, and has been cited in more than 450 publications. Dr. Spellman holds a BA in public administration, a BS in business management, an MBA, and both an MS and a PhD in environmental engineering. 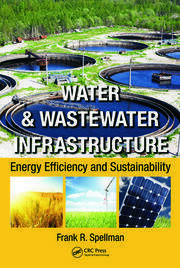 "The main strength of Water and Wastewater Conveyance: Pumping, Hydraulics, Piping, and Valves by Spellman lies in author’s writing style on ready-to-use procedural applications for non-technical audiences. It will serve as a nice introduction to further evolutionary expansion." "...a wealth of information, easily classified for the reader and many straight forward worked calculations."